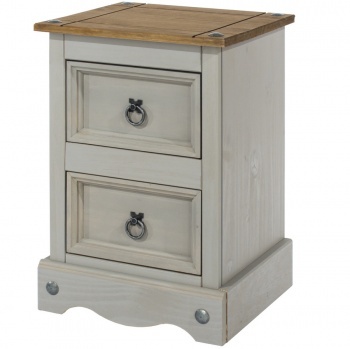 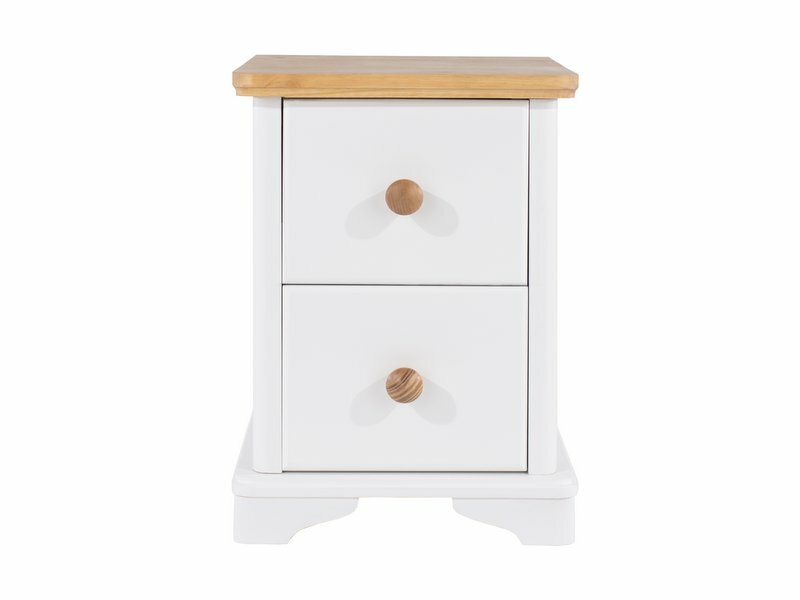 This compact bedside table is a great choice where space is limited. 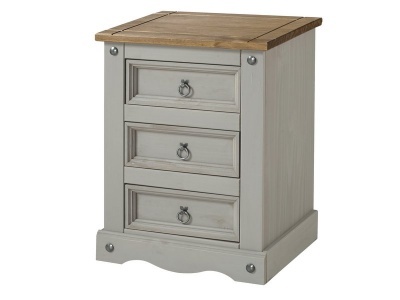 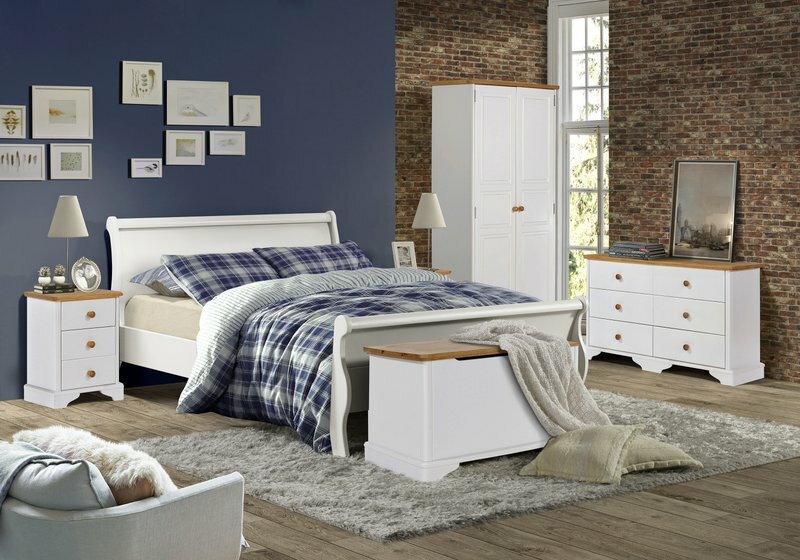 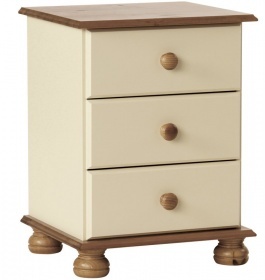 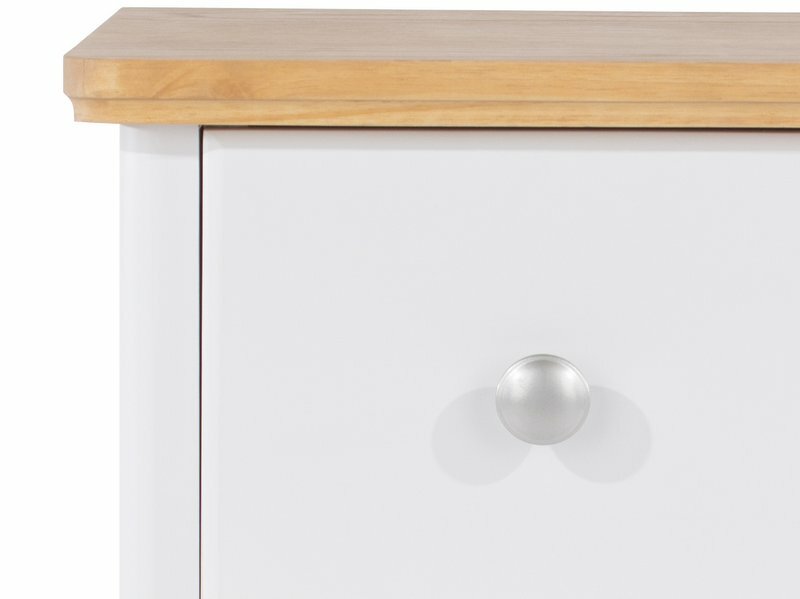 Two drawers enable you to keep night time accessories within easy reach. 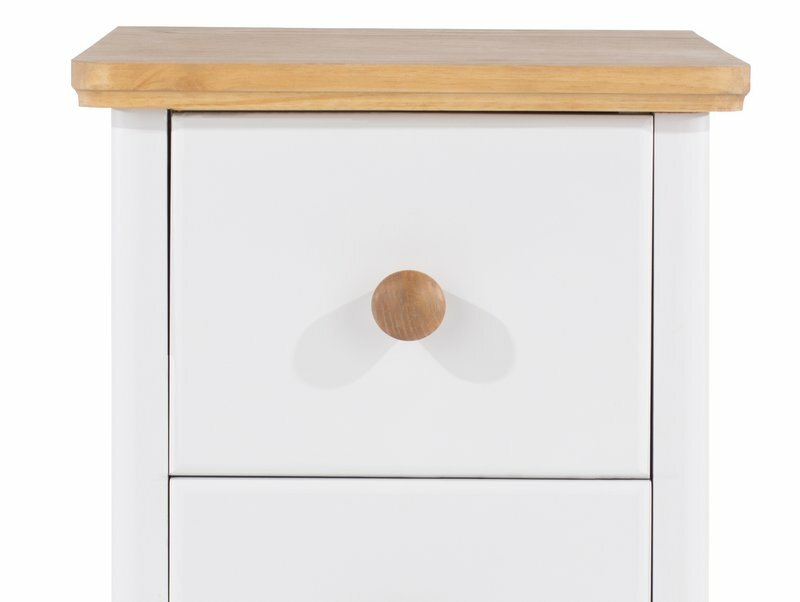 Chunky natural oak veneer top with shape detailing works in harmony with the crisp white painted cabinet beneath. 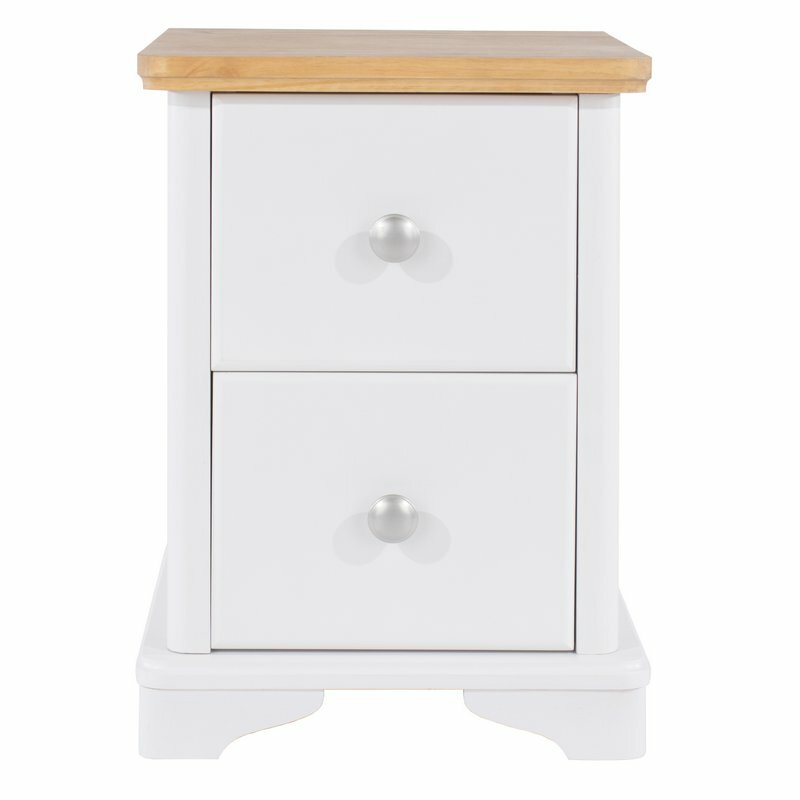 Moulded plinth adds to the traditional appeal of this piece.